The upcoming nationwide release of the film is disturbingly timely given the current state of the relations between India and Pakistan. As the cacophony of on-screen gunfire erupted over the speakers inside Toronto's Princess of Wales Theater for the premiere of "Hotel Mumbai" in September, audible sobs could also be heard from the audience. But for Hemant Oberoi, the experience of watching the cinematic recreation of the November 2008 terror attack on the Taj Mahal Palace Hotel, part of a four-day rampage across the city that left 168 dead, was more visceral than for most of his fellow movie-goers at the Toronto Film Festival. After all, the former head chef of the five-star hotel lived through the carnage the first time around. “For the first couple of minutes it was very hard to go see the first shooting and everything, it takes you flashback to what had happened so many years back,” Oberoi, who stayed behind in the hotel with his staff to save as many guests as they could, recently told NBC News. Australian photographer and documentary director Daniela Federici felt a "bit teary" watching the film at the premiere, but used breathing exercises to avoid a panic attack when she felt tense during the action scenes — skills she had to learn after enduring her own 20-hour hell in the Taj. Director Anthony Maras "captured the feeling of the night completely," said Federici, who had just arrived at the hotel and left the lobby seconds before the gunmen stormed the same area and started shooting. "You just didn’t know what was going to happen. Was there going to be another explosion? Were you going to burn in the fire? Your adrenaline is going through your pores. "Smoke from the fire [set by one of the gunmen] was coming from directly above us. My son was 2 at the time and there was a point in the morning that I had to text my family and I sort of said, 'I love you guys. I don’t think I am going to make it.'" Federici ultimately escaped with members of her documentary crew and the wedding guests when a grenade thrown by a terrorist from an upper floor cracked the thick glass window enough to allow them to break the pane with a champagne bucket. They then scaled down the thirty feet to the street and safety using sheets tied together with nautical knots. The more research Maras did into those individual tales of survival — including interviews with 40 survivors over the course of a year — the more he wanted to point a camera on the way many of the hotel staffers handled the crisis, giving up their own chance at escape to stay with trapped guests. Oberoi, a consultant on the film, took pride in the way waiters served tea in the proper cups to patrons in a barricaded lounge while gunshots could be heard just outside the doors. 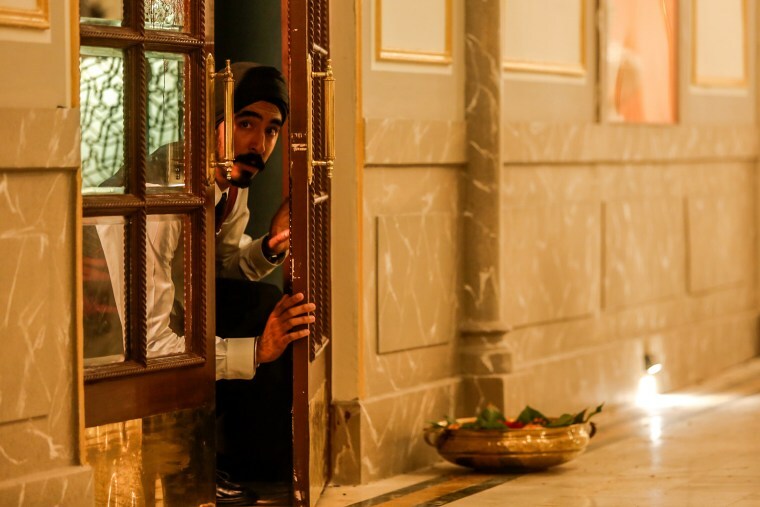 Having opened in New York and Los Angeles Friday and set for a nationwide release next week, “Hotel Mumbai” is turning out to be disturbingly timely given the current state of the relations between India and Pakistan, where the 10 gunmen behind the attacks originated. Tensions between the neighboring nuclear powers flared after a Feb. 14 suicide bombing on the Indian side of the disputed Kashmir region left 40 dead, with the terrorist group Jaish e-Mohammed claiming responsibility. Twelve days later, India launched airstrikes on an alleged militant training camp — leading to a reprisal strike by Pakistan on the other side of the border. “For India as a whole, the movie would be interesting at any time, but [is more so] at this specific point in time, coming after the suicide attack in Pulwama [Kashmir] killed over 40 security personnel, after the Balakot air strike, after the increased pressure being brought diplomatically by India upon Pakistan to give up masterminds of terror attacks on India,” said Anshul Chaturvedi, associate editor of the Times of India. Still, Maras, who cowrote the screenplay with John Collee, was sensitive to the potential for inflicting pain in reliving the horror that claimed 31 lives in the hotel alone, and so used composites of real people for the characters played by big stars Dev Patel, Armie Hammer, Nazanin Boniadi, and Jason Isaacs. "We disguised some of their biographical information out of respect for the families — those who passed away and also for the privacy of those who lived," Maras said. "The decision we made very early on in the piece where the people who checked in to the Taj Hotel, which is the focus of our story didn't sign up to be in a movie." Maras said he used evidence from the trial of the lone gunman who was captured alive, Ajmal Kasab, to help choreograph the way the attacks unfold on screen, and transcripts of satellite phone conversations between the terrorists and their handlers in Pakistan as dialogue in the film. Issacs said the director passed on that level of preparation to the cast, who also spoke to survivors. "On set, Anthony kept the gunmen separate from the rest of the cast and hid giant speakers everywhere that would, randomly, erupt deafeningly with gunfire or explosions," the British actor said by email. "Mostly, though, we kept ourselves in a constant state of fight-or-flight terror by taking it seriously and not allowing the normal social jokiness of film sets to emerge. "When we were filming in India, having visited the sites of the slaughter and having met some of the quiet, unsung heroes of the Taj, the reality of the nights of terror felt achingly close," added Isaacs. They still feel achingly close for Federici and Oberoi, but both of them have vowed to not give in to fear. Oberoi reopened the first of his restaurants in the Taj just three weeks after the attack and hosted his son's wedding banquet in the hotel the following year; footage shot by Federici of the staff and guests reuniting to celebrate the reopening of the hotel 10 years ago is featured at the end of "Hotel Mumbai." "There was time that night, probably at about 4 o'clock in the morning, when they started running after us, me and about 17 of my colleagues, in the staircase and we thought we may or may not be dead," said Oberoi. "But probably God and destiny had a little something else planned for us." CORRECTION (March 23, 2019, 3:45 p.m. ET): An earlier version of this article misspelled the name of one of movie's screenwriters. His name is John Collee, not John Coulee. Ethan Sacks writes for NBCNews.com.